When I first stumbled upon this tool set, my first thought was "why haven't I heard about this before?! Where has this been all my life?!" Yes, this tool is THAT amazing!! 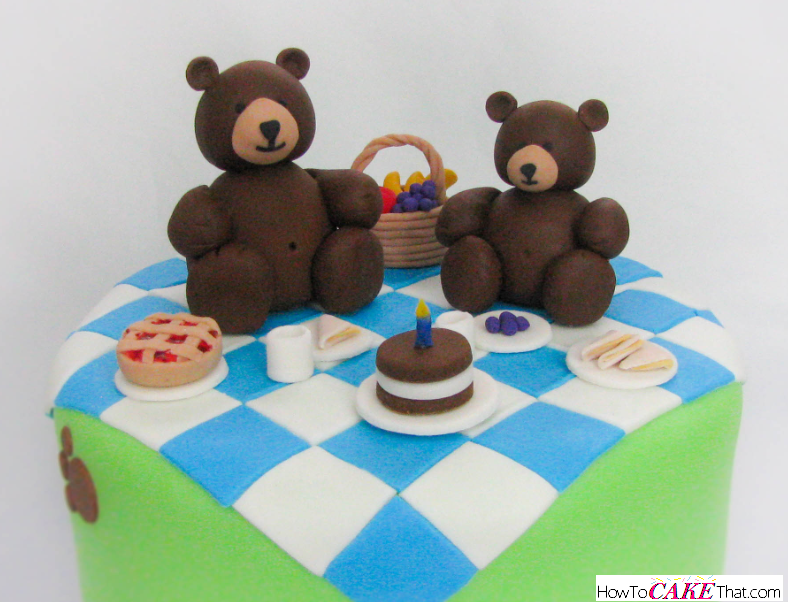 Recently I was asked by a friend to create a teddy bear picnic cake for her best friend's baby shower. 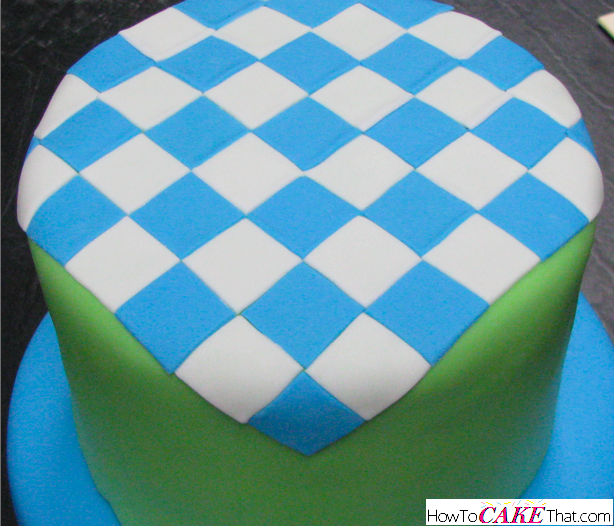 And the design she wanted included a blue and white checkered fondant quilt. Well, I took one look at it and thought, "how many hours would it take to hand cut these squares to a perfect uniform size?" Not long ago I was asked to create one of those dreaded Minecraft cakes. You know, the cakes with the millions upon millions of perfectly sized squares! Ugh, I still have nightmares about that cake ;). Anyway, I spent two days coloring fondant and cutting out each little 1 inch by 1 inch square by hand for a total of 305 hand cut pieces. My hands were so sore when it was all done and I swore that I would never do a cake like that again... that is until I discovered this handy little tool that would allow me to cut out hundreds of little squares in no time! 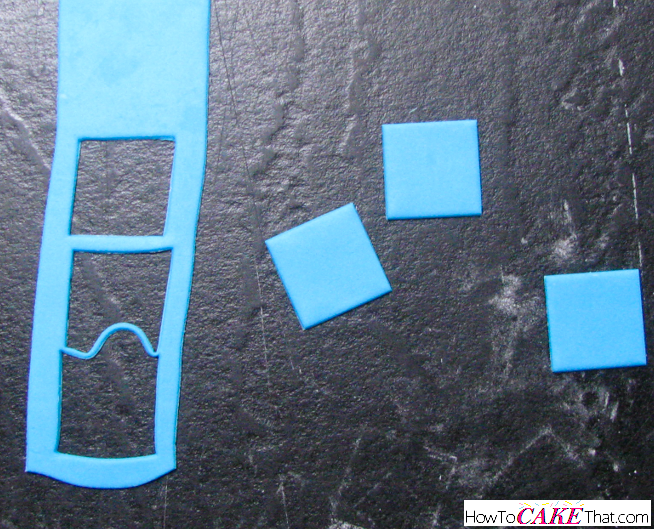 Some of you may already have this tool - it is a tool set specifically created for cake decorating... I had just never heard of it before and I wanted to spread the word to you guys in hopes of saving you hours and aches in your hands. So, are you ready to see what it is? TA-DA!!! The BEST cutter set in the whole world!! Yes, they are "Tappits" but if you know how to use them correctly, they will save you lots of late nights and lots of heartache ;). Look at those perfect shapes!! To the designers at FMM... you guys are geniuses!! I stumbled upon these cutters when I was looking for small square cutters with nice sharp pointy edges... you won't believe how hard it is to find square cutters with pointy edges! I was searching and searching in every online cake store and just couldn't seem to find what I was looking for... until I ended up on globalsugarart.com. I typed "square cutters" in the search bar, and the first set I found was a set of 3 small square plunger cutters. They were nice and I was all prepared to order them... until I decided to click through to the last page just before placing my order... and for the same price I found THESE!! So many shapes, so many sizes!! They're perfect!! 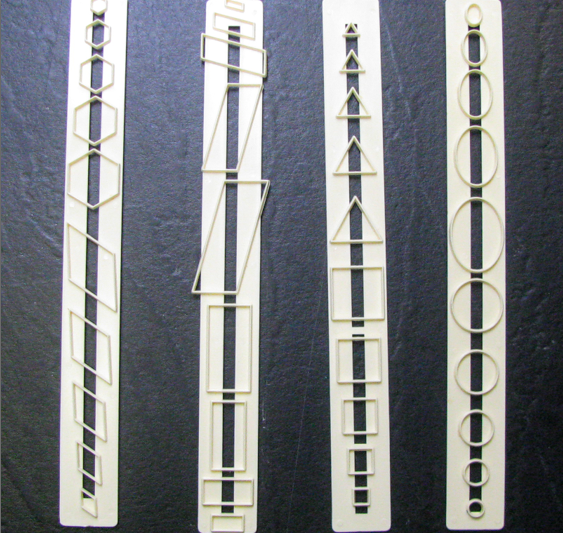 For those of you who want to order them, they are called "Essential Shapes" by FMM! BEST. SET. EVER. I'm going to demonstrate how easy it was to make the little quilt on the Bear Picnic Cake... First, I rolled out my fondant on a surface dusted with cornstarch. I rolled it really thin (to the point that it almost becomes see-through). Next, I lightly dusted the surface of the fondant with cornstarch to keep it from being sticky. Then I cut the rolled fondant into strips using a pizza cutter. I made sure my strips were slightly wider than the square cutter I was using. For the quilt I will be using the largest square cutter. Next, I placed the cutter over the fondant and pressed down on the cutter to ensure it cut all the way through the fondant. Then I lightly wiggled the cutter up and down and then side to side to loosen the cutter from the fondant. 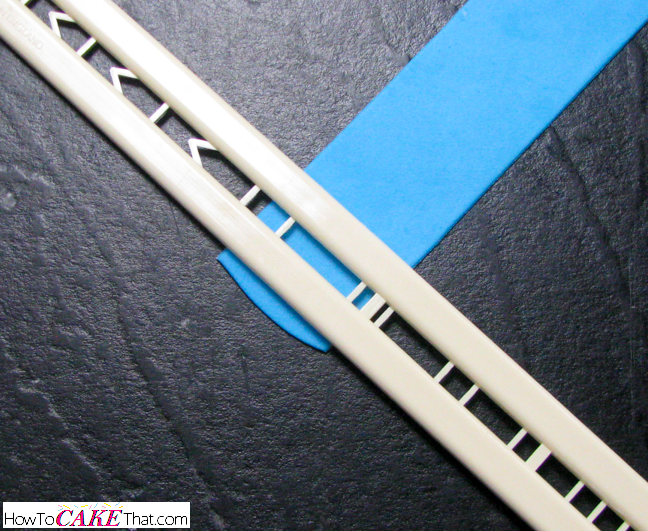 Notice how the fondant is rolled so thin that it does not squish out of the top of the cutter. 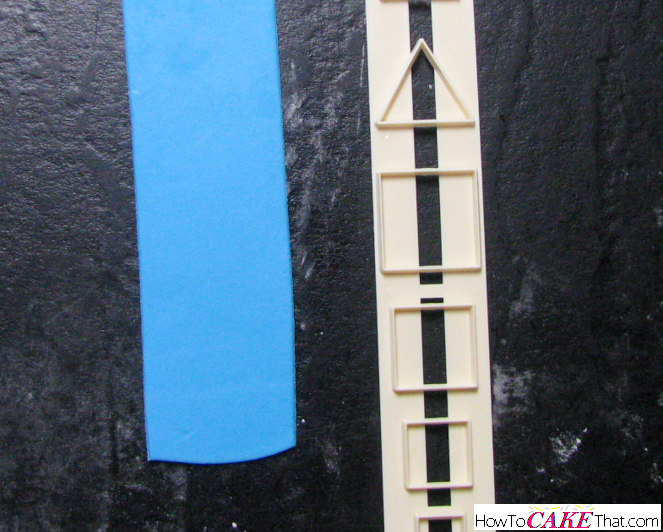 In fact, there is a gap of space between the surface of the fondant and the top of the cutter! This is the key to using these cutters. If the fondant is too thick it will squish out of the top of the cutter and get stuck inside. 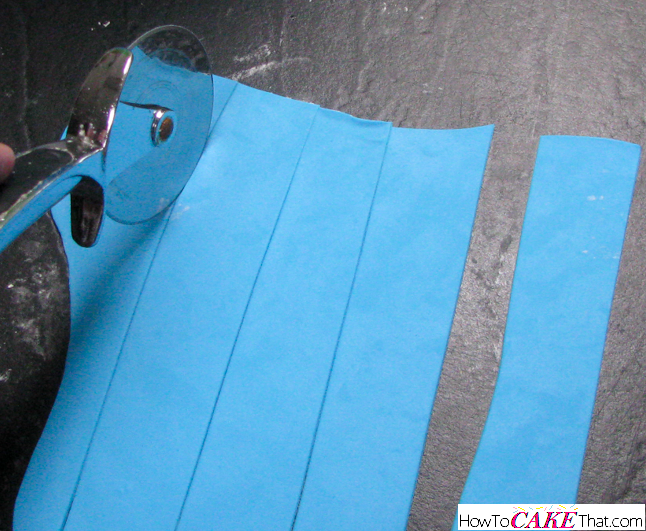 Hold one end of the cutter in one hand and gently lift away from the strip of fondant. Tap the opposite end of the cutter on your workspace until the cut pieces fall out. It should only take one or two taps. 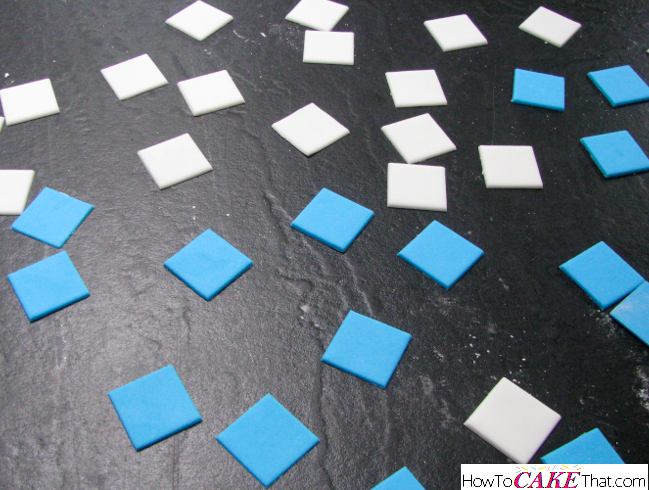 If you are having trouble with the fondant sticking, roll the fondant a little thinner and add a little more cornstarch to the surface of your fondant. Look at all of these perfectly cut squares!! In just a couple of minutes you can have oodles of them!! I couldn't believe how easy and quick this was!! If only I had this tool for the Minecraft cake! And look how they fit together seamlessly!! And this awesome cutter set was used to make the little paw print on the left side, and the cute little plates!! FMM, I'm in love!! I hope you have enjoyed this tutorial! <3 God bless! !